The endowment effect: Are your applications and data in the right place? Keeping your organisation's applications and data in-house is no longer the best option for your business. 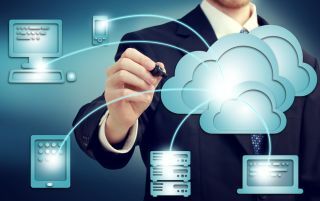 Despite the wide availability of cloud and SaaS technology, many IT departments could be missing out on a number of the benefits these solutions can offer, by choosing to keep applications and databases in-house. While there may be some justifications for this, it is clear that this is having an impact on the department’s ability to focus on innovation. According to Claranet’s Beyond Digital Transformation research report 2017 – based on its annual survey of 750 senior IT and digital decision-makers across Europe, IT teams spend more than half (53%) on operations, maintenance, user problems and unplanned work, with just 12% of their time focused on driving the wider business forward through innovation. This points to a need for IT departments to focus more heavily on their key areas of strength and where they differ from their competitors, and rely on the support of partners to take on the more time-consuming tasks. Why do departments so often refuse to use the facilities of third parties? Psychologists believe it is to do with the “endowment effect”. It means people tend to value something more highly simply because they own it, and will give up a great deal – more than is logical – to keep it, even if they’re offered superior alternatives. This emotional connection to possessions serves no purpose in today’s ultra-competitive business environment. Companies frequently maintain business units, product lines, and budget items that have no place in the strategy, simply because they feel a sense of ownership. The same thing applies to a company’s applications and data - many feel that the right place for their databases are in-house, despite common sense suggesting it’s worth seeking out alternatives and embracing a more flexible approach to the various dimensions of IT management. The rewards for beating the endowment bias can be significant. There are several benefits to making more use of cloud and SaaS, the most obvious one being enhanced security. Findings from the research explain that just 28% of IT security is managed by external providers, which is evidence that companies fall ill to the endowment bias in this area. Using market-proven offsite applications and storage brings an advantage in the sense that businesses are adopting the benefits of a solution built for millions of people worldwide, created with a level of investment and expertise that very few companies can match, if choosing to manage their own security. Essentially, IT departments can free themselves from what is an extremely challenging area of the business, leaving them more time to focus on their key areas of skill. Even with careful planning, applications need continuous improvement, new applications need to be deployed and vendor pricing policies can be unpredictable. This often leads to unexpected payments when you need them least. With over 60% of respondents believing their IT systems are fragmented, hosting multiple applications and data under a third party SLA keeps costs at a fixed rate, by placing responsibility for supplying and maintaining large parts of your IT infrastructure with an external provider. With current spend on managed service providers only at 16% of the budget, there’s a lot of advantage to be gained. Time is money. Overall, an astonishing 58% of companies see IT service and support as their biggest drain on time. That’s around 20 hours a week for everyone in the IT department. While 19% of respondents to our survey believed their apps were “complex and time consuming” to maintain, an additional 36% stated their apps required a lot of resource – meaning over half of the companies surveyed registered application management as a problem. Only 36% of businesses believe they have their IT problems under control, with the majority of those businesses having already put large areas of their IT estate out to be managed by third providers. Outsourcing isn’t limited to IT departments alone: effective partnering and a flexible approach to which responsibilities can be delegated externally can cut routine maintenance work across the business, and open up the organisation to thinking more deeply about differentiation. Upgrades are another important aspect to consider when looking at wasted manpower. A large number of applications are tied to individual devices, which require one-on-one attention. So many of these apps and data sources being managed on individual hard disks are now available in the cloud. When a business chooses to work with an external IT services provider, patches, point releases, and entirely new versions of software are rolled out, usually overnight, saving IT departments countless hours a year. Finally, casting applications and data into the cloud leads to all the devices in a company’s fleet connecting to a single network, needing nothing more complex than a secure connection to bring up-to-date information and the latest applications to everyone’s desktop. While 10% of companies do, in fact, deliberately decouple parts of their IT architecture to minimise the possibility of one fault taking down the whole network, it is incredibly rare for something like that to happen in the first place. Working with a reliable partner minimises the risk of downtime, with firm backup policies and secure offsite storage. Essentially, the more devices connected, the greater the value they’ll deliver. With a unified network in place, the close collaboration needed to make innovation and differentiation a success becomes much easier. The reasons to maintain all vital IT infrastructure in-house are diminishing. Today’s providers encompass vast expertise in security, service levels and application and data management, which helps to smooth out peaks and troughs in a company’s IT workload, making IT practices more cost-effective and efficient. However, the true long-term value is seen in how strategic partnerships with external providers enable IT departments to focus more heavily on what makes their business unique against the competition. With this time freed up, organisations stand a much better chance of seizing that all-important competitive advantage and ensuring they remain ahead.